Montréal organist Bernard Lagacé is best known for his interpretation of Baroque music and Bach in particular, having performed Bach's entire organ works in two separate series of concerts. 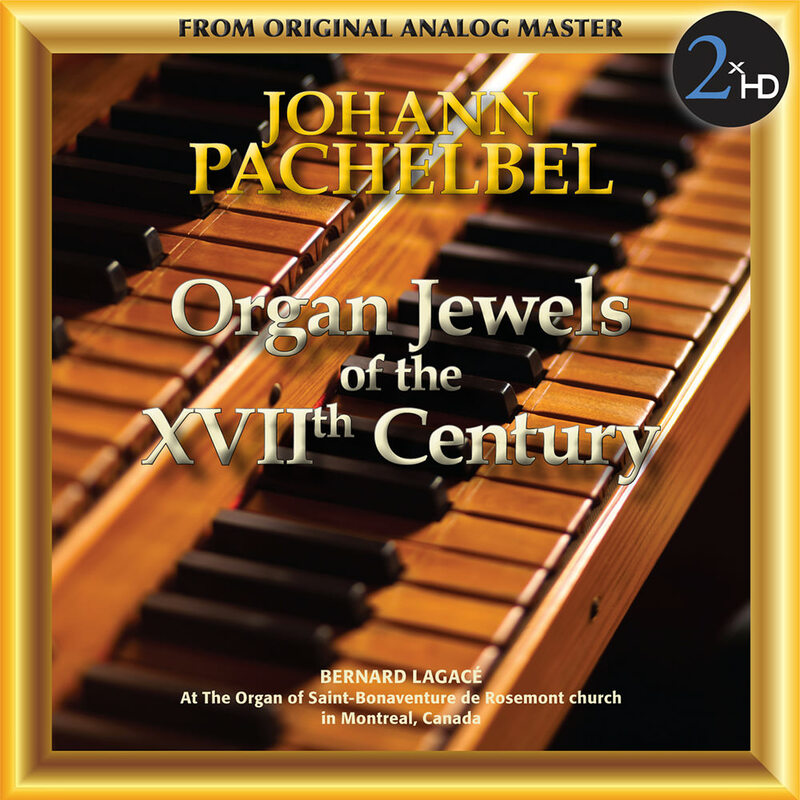 This collection shows Lagacé to be equally adept playing the music of Johannn Pachelbel, another important Baroque composer and an organist himself who wrote a considerable amount of organ music. For the 2xHD transfer of this recording, the original 1/4”, 15 ips NAB master tape was played on a modified TELEFUNKEN M15 Tape recorder with SAKI head, using a hi-end tube preamplifier with OCC silver cables. We did an analog transfer for each HiRes sampling and A & B comparisons were made with both the original LP, using the Kronos turntable, as well as with the best available CD, using the Nagra HD Dac and dCS Vivaldi DAC, throughout the process.